Personalized wedding matches make and inexpensive wedding favor. Personalized with your first names and wedding date and choice of design or monogram. or place in baskets at your wedding reception entrance. 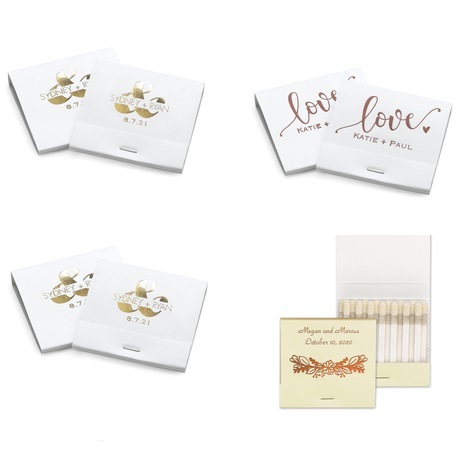 More Great Invitations and Wedding Stationery Products from Carlson Craft!